Wearing a solidarity bib for the French Foundation for Rare Diseases is the opportunity to offer some hope to people concerned by a rare disease. Rare disease means that each disease affects few people but unfortunately more than 7000 have been identified. More than 3 million people in France are concerned, half of them are children. Rare diseases are not exceptional, they affect 1 in 20 people and represent a public health issue. 97% of rare diseases do not have a specific treatment today and patients and their family may feel alone and isolated facing the disease. This is why it’s urgent to accelerate research to develop new treatments. The French Foundation for Rare Diseases aims to speed up research and since 2012 has supported and funded more than 310 teams of researchers in the field of rare diseases. Bibs solidarity, it is the opportunity to join us and get involved to rise the challenge of rare diseases. 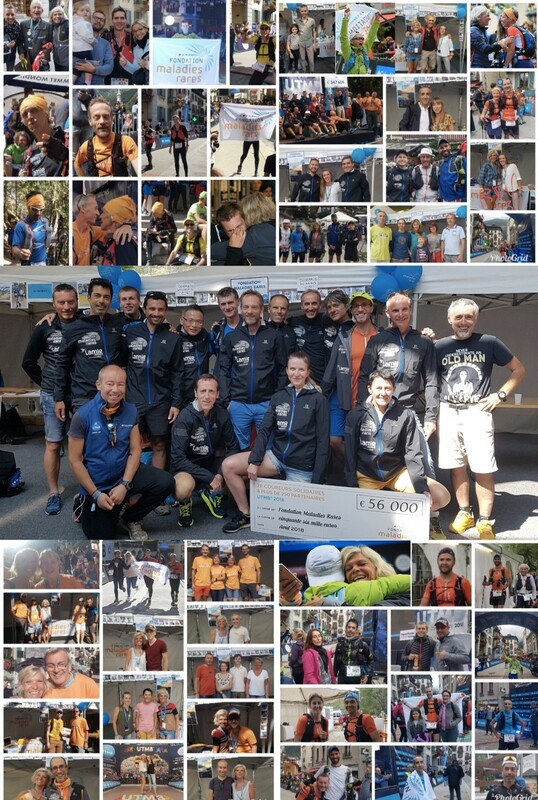 Equity, solidarity, enthusiasm, respect for others and for oneself : all these strong values are promoted by the entire team of the Foundation and by the discipline of ultra-endurance. In 2019, join our team and give hope to the patients. We hope to seeing you in Chamonix in August 2019!